Home Screenshot from the Award Winning Best Baltimore Web Design Business Ainsley & Co.
Go to Ainsley & Co.
About Screenshot from the Award Winning Best Baltimore Web Design Agency Ainsley & Co. 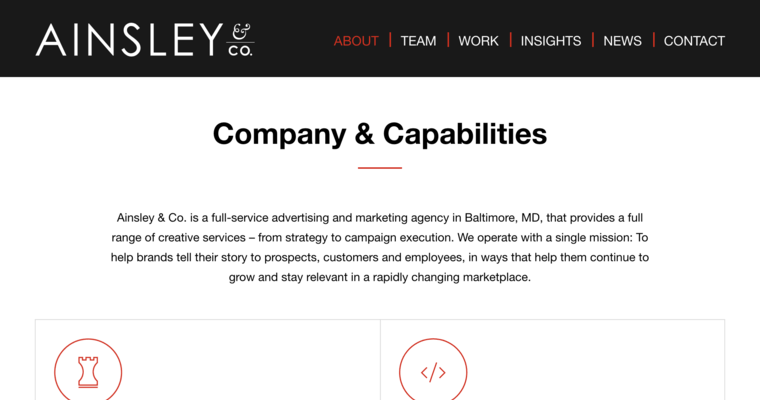 Team Screenshot from the Award Winning Best Baltimore Web Design Company Ainsley & Co.
Ainsley & Co. is a highly reputable and reliable digital marketing firm, providing top notch Web Design services to clients. This company creates cost-effective digital marketing solutions that meet clients' needs. 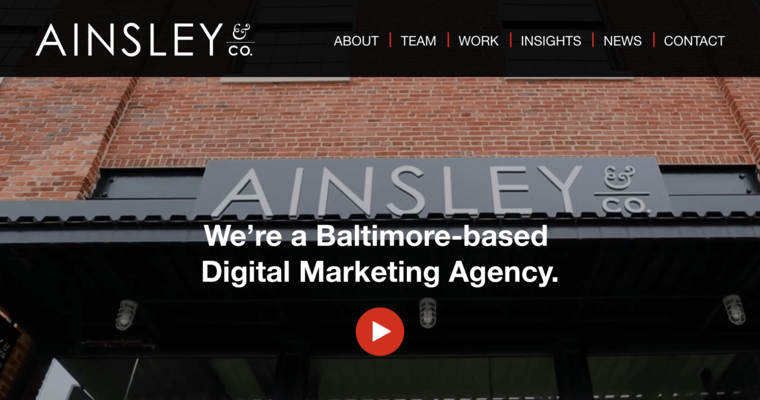 Ainsley & Co. has a great team of web designers that create marketing solutions that increase their clients' online visibility and boost revenue. They have worked within many different industries and their services are designed to match your needs. If you're in need of web design service, get in touch with this great team and you can rest assured that they will create websites that maximize your company's exposure and drive targeted visitors to your business. Ainsley & Co works with businesses of all sizes to meet their goals. These experts can help you manifest your vision into a real digital solution. They deploy leading technology to get satisfactory results, boost revenue, and can help make meaningful impacts on your company or organization. Learn More about Ainsley & Co.